The Turkish cement sector, which employs 19 thousand people with its 70 factories, exports to more than 100 countries and ranks first in Europe and third in the world. With the economic troubles experienced in 2018, about 80 percent of the cement production costs were affected by the exchange rate increase; imported coal became 60 percent of the cost and 20 percent of the electricity cost. Despite the turn of the year 2018. Turkey, carrying 13.7 million tons of exports, the exports increased by 15 percent compared to the previous year. 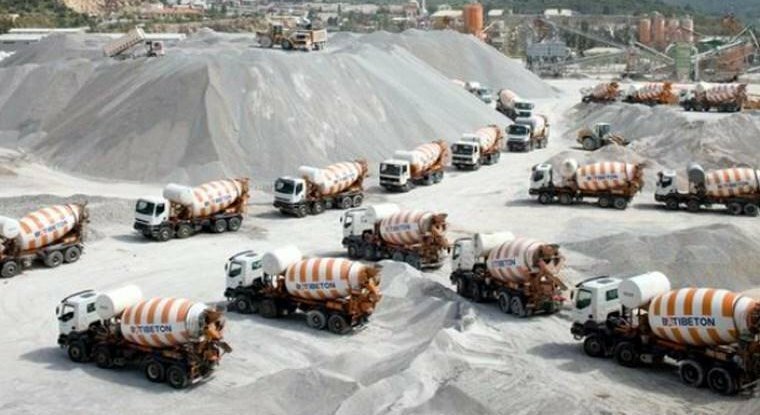 Turkey Exporters Assembly set 2019 as ‘Sustainability and Innovation Year’ and it is estimated that cement exports will achieve a growth of 16 percent in 2019. Respectively; The USA, Israel, Syria, Haiti and Bulgariaare among the most exported countries. With the high production capacity inTurkey, despite many competitors in the region, is seen as a guarantee that Turkeywill continue to be met by the majority of the demand. Çimsa, one of the most important companies of the cement sector, has signed a purchase agreement by agreeing to purchase the white cement plant Bunol for a price of 180 million dollars in Spain. According to the statement made by Çimsa, the company signed the agreement to buy the Bunol factory in Valencia, Spain, as one of the world’s leading cement producers, for around 180 million dollars. With the participation of the Bunol plant in the production and distribution network, Çimsa will build a strong export network in North Africa and South America as well as Europe in a broader geography. Çimsa, which will provide a 40 percent increase in its production capacity with its investment, will become the world’s largest global white cement trade. Turkey has a great potential in manufacturing sectors and with its young population, enables qualified employment in industrial sector. You can contact Conexio Consulting, based in Istanbul, Turkey , to learn more about the industrial sector. The Turkish cement sector, which employs 19 thousand people with its 70 factories, exports to more than 100 countries and ranks first in Europe and third in the world.